evenger X, a new member to the Vaporesso Revenger Family, is so immersive that the device itself disappears into the experience. The mechanical buttons now give way to a highly responsive touch buttons, bringing out the more integrated look of the IML interface. Built with OMNI Board 2.2, in addition to all the advanced settings and output modes, it now has a more friendly UI, easier to navigate for all vapers. 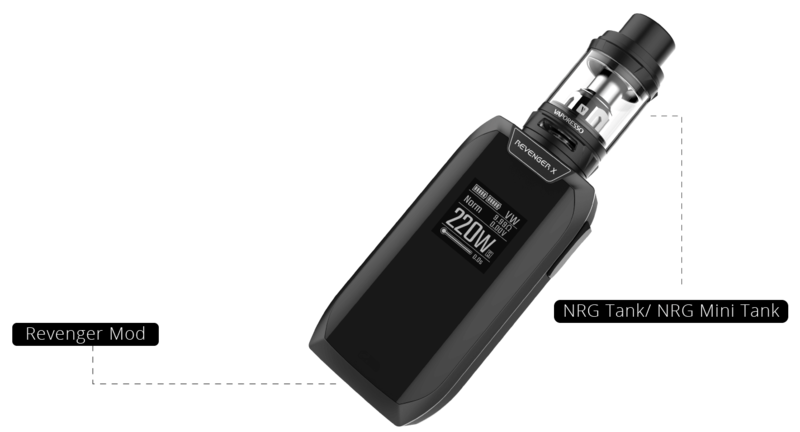 Equipped with NRG tank improved, you will be rest assured enjoying the flavor and vapor out of the variety of GT cores available.